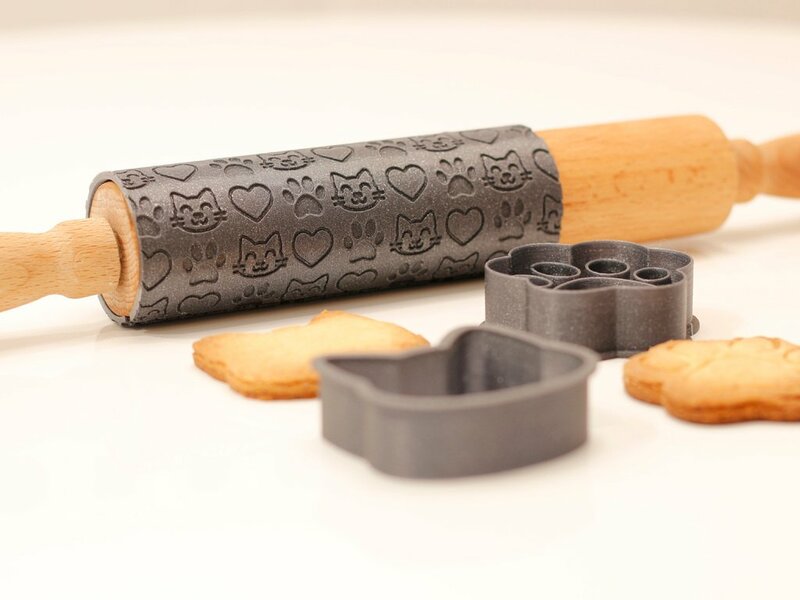 Cat Cookie Cutter Rolling Pin by @Flowalistik « Adafruit Industries – Makers, hackers, artists, designers and engineers! I would love to keep sharing my projects with all of you. If you like my designs, I invite you to become a patron, you will get early access to my designs and exclusive content! Also, you can help with a small donation. 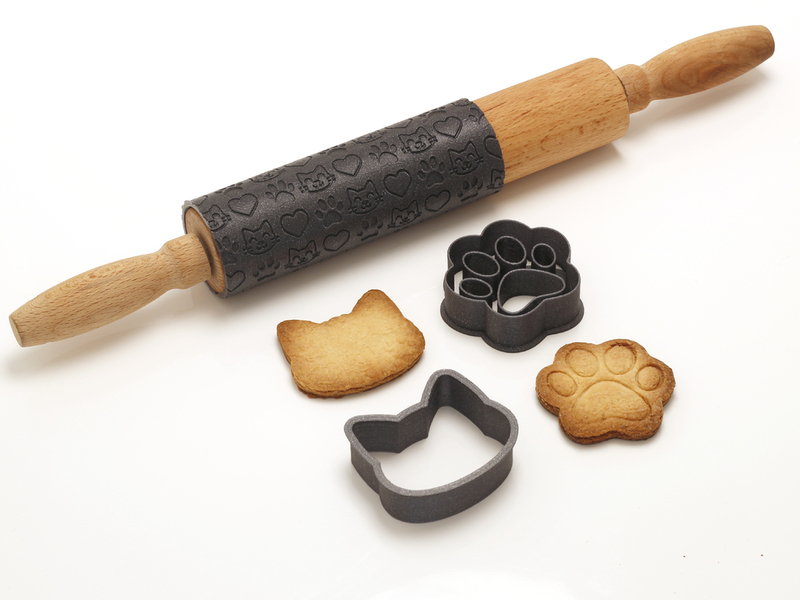 The Neko Baking Set is a cat themed collection that consists of three items: cat cookie cutter, cat paw cookie cutter, and cat rolling pin! The cookies from the pictures were made following a standard butter cookies recipe. The items were printed using a 0.4mm nozzle, and it’s recommended to print the items using 0.8mm walls and 0% infill. This collection is my cat enthusiast version of Adafruit’s amazing circuit and robot baking items. The designs were 3D printed on a BQ Witbox Go using Fillamentum Vertigo Grey PLA filament. Before using these items, please check out the limitations and precautions required when using 3D printed items with food. I’d like to thank all my supporters and patrons, with your help I’ve been able to create this project. The Patreon MVPs for this project are 3D Maker Noob, 3D Printing Stuff, Filaments.directory, Remco Katz, and David Kessler!